Welcome to Riverdale, the home of everyone’s favorite teenager, Archie Andrews - and his closest friends! Dive into these beloved and classic Archie stories, which feature all the elements that have become an important part of pop culture. 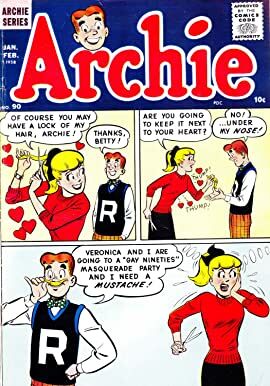 See the love triangle that includes girl-next-door Betty Cooper and wealthy socialite, Veronica Lodge! 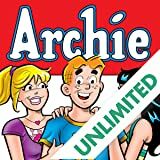 Share a burger with Archie’s best pal, Jughead Jones! Square off with tough-talking Reggie Mantle! Sit back and enjoy a chocolate shake at Pop’s! It’s all here for you to enjoy. Prepare to experience wonders of the teens' beloved hometown with stories like "Auctions of Love'', "in "Don't Barter Me!"" and more!